Drag Race Archives - Page 73 of 74 - Muscle Cars Zone! Nissan GT R AMS vs 750hp BMW M6 vs Ferrari 458 Italia! Epic 1 Mile Drag Race! 2,138hp 5.0L V8 – Meet the World’s Most Powerful Coyote Engine! GONE 7 Seconds! 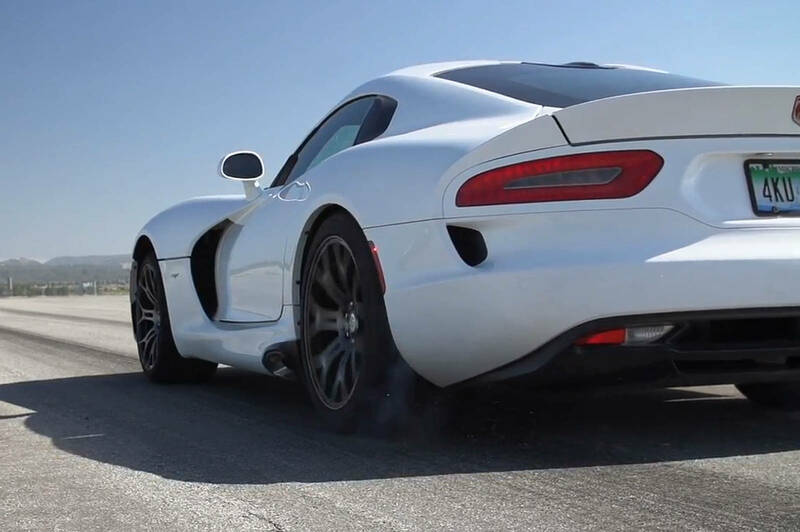 EPIC DRAG RACE: Bugatti Veyron VS Koenigsegg CCXF! Which TITAN Will Win? Bugatti Veyron (Stock) vs Tunned Nissan Skyline GT-R R34! Who wins this Amazing Drag Race? Mustang Shelby GT500 vs Corvette Z06 vs Panamera vs GT-R vs Gallardo! 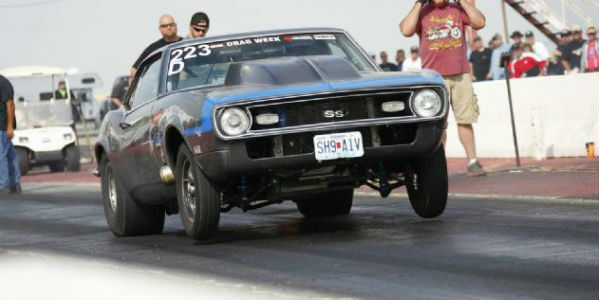 2012 Drag Week: 7.68 from Todd Maschmeier and More! 1957 Chevy: The Roarin’ Rat! Father and Son Ford Mustang Burnout (Video Inside)! If we are talking about quality time spent with your family, than what is better than doing Ford Mustang Burnout next to another family member? 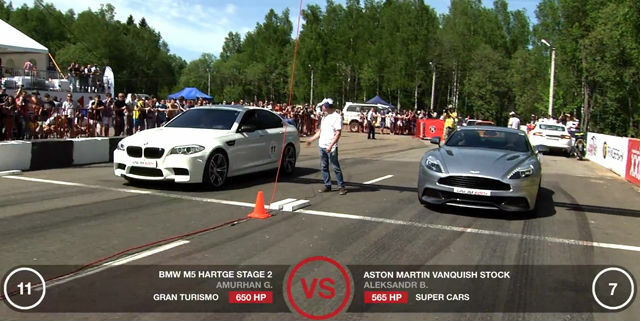 2013 Aston Martin Vanquish VS BMW M5 VS Nissan GT-R!